With students’ schedules busier than ever, it can be too easy to allow career development to take a backseat to library study sessions, group projects, clubs and class time. But the UO Career Center is working to make job searching fit into students’ lives by bringing the employers to them. 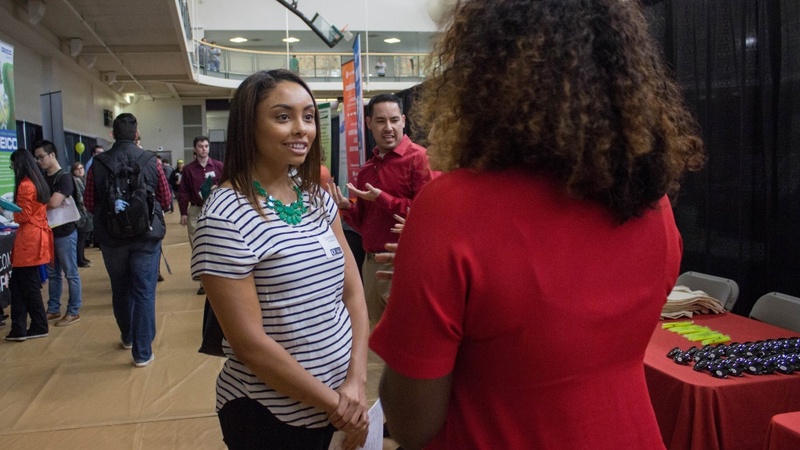 With the Career Fair as the centerpiece, Career Fair Week offers students the opportunity to network with company reps, meet with career advisors, gain skills in workshops and even interview with employers, all right on campus. Leading up to the fair, Career Center advisors are available for drop-in hours to help students prepare. Advisors offer expert advice on self-presentation and networking, resume critiques and insider knowledge on attending employers. A pre-fair workshop is also available on Monday afternoon. On Tuesday, Amica Mutual will review resumes and offer feedback, and a representative from Nike will be conducting practice interviews — perfect for students to brush up on their skills and gain some confidence before the fair. Tuesday night is Diversity Career Night, featuring employer networking, a professional development workshop and a keynote address from speaker Roy Juarez Jr. The event is focused on underrepresented students and alumni, but all UO students are welcome. Registration is required for both the practice interviews and Diversity Career Night. The Career Fair itself will be Wednesday, May 3, from noon to 4 p.m. in the Erb Memorial Union ballroom. Dozens of companies will send representatives to recruit UO students for jobs around the country. Backstage pass tours are available for students new to the fair process, focused on developing networking skills and improving confidence. Following the fair on Thursday, May 4, 15 employers will hold real, on-site interviews for qualified students. All event and registration information is available online at career.uoregon.edu. Download the Be A Duck app to view the Career Fair Guide, including fair maps and the full list of registered employers.